In this article, I’ll be demonstrating how to deform a mesh to create a repeating motion using Shape Key sliders in blender 3D. The process can be difficult because it requires you to shape your mesh in the edit mode moving vertices and to arrange each motion in the animation mode moving keys. Once you master it, this can become a handy tool to make quick animation for any objects. Moreover, you can apply to a wide range of motions in photos or films like the professionals do. Hope you enjoy. Start Blender, select the cube and delete it (press X). 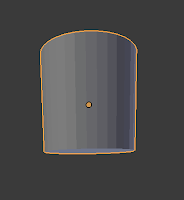 Add a cylinder (press Shift + A and go to Mesh | Plane). In the Object mode, move it to 6.5 in z-axis (press G, Z, 6.5). Go to the Object Data window and locate the Shape keys panel. 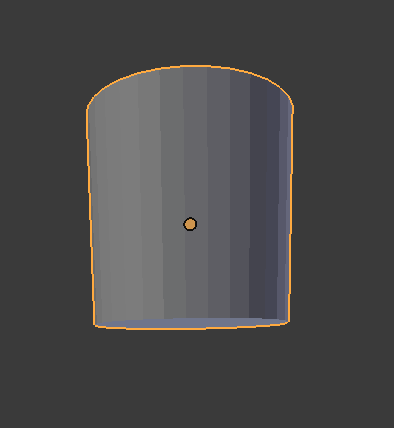 Press the “+” in the Shape Keys panel to start using shape keys for the cylinder. First appearance of “Basic” contains all the keys you now create under it. Press the “+" button 3 more times, to create “Key 1”, “Key 2”, and “Key 3”. 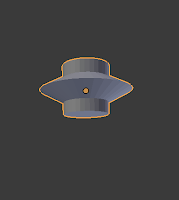 Select Key 1, then go to edit mode (press Tab) to start moving some vertices. Select face (press Ctrl + Tab) in the Mesh Select Mode, Select top and bottom face, scale it to 0.5 (press S and 0.5). Go to the Object mode (press Tab), select “Key 2” in the Shape keys panel. Switch from Object mode to Edit mode (press Tab), select bottom face and scale it to -5 in z-axis (press E, Z, -5). Go to the Object mode (press Tab), select “Key 3” in the Shape keys panel. Switch from Object mode to Edit mode (press Tab), select edge (press Ctrl + Tab) in the Mesh Select Mode. Scale it to -1 in z-axis (press E, Z, -5), then set it to 0 (press S, 0.5, enter). Go to the Object mode (press Tab). Now, the Mesh Shape Keys are ready to animate. Change the screen layout from “Default” to “Animation” on the top side of the panel. Switch from Dope Sheet to Shape Key Editor at the Dope Sheet window. First activate each Shape Keys by sliding them under Dope Sheet Summary panel. A small diamond will display to the right side of the window (selected keys are yellow). Set key frame to 20 (slide green line to 20), copy these diamonds to 20 ( press Shift + D) and move it to the green line is at (press G). Sliding “key 1” slider from 0 to 1 to animate them. Set key frame to 40 (slide green line to 40), copy these diamonds to 40 ( press Shift + D) and move it to the green line is at (press G). Sliding “key 2” slider from 0 to 1 to animate them. Set key frame to 60 (slide green line to 60), copy these diamonds to 60 ( press Shift + D) and move it to the green line is at (press G). Sliding “key 3” slider from 0 to 1 to animate them. Set the total time frame to 80 in the time line controls panel. When finished, set the time frame to 1 and press the play button in the time line controls. Continue adding shape keys if desired. Here is the final result of animation.